A truck engineering background at Chevrolet helped groom Alex Mair for his promotion in October 1972 as head of GMC Truck and Coach. Alex Mair, former group executive in charge of General Motors' technical staffs and general manager of the automaker's Pontiac and GMC divisions, died Sunday in Orange City, Fla. He was 91. 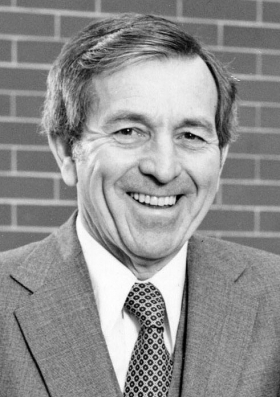 Mair was named group executive of GM's technical staffs in November 1978 and remained in that position until he retired in 1986. He became general manager of GMC in 1972 and general manager of Pontiac in 1975. Mair, a native of Flint, Mich., had enrolled at the General Motors Institute under sponsorship from Chevrolet in October 1939. After graduation, he became a detailer for Chevrolet in 1943 and later served in various executive and engineering positions. Last year, in an interview with Automotive News reporter Jesse Snyder, Mair recalled a race between him and former Chevrolet General Manager Pete Estes. Estes had asked his engineers to drag race two experimental Chevy Chevelles with him. Mair, then Chevrolet's truck boss, was the only engineer that did not decline the invitation. Mair said he beat Estes twice; once in an initial race and again after switching cars with the executive. He credited the race for his promotion to chief engineer of passenger cars for Chevrolet in 1965. The job allowed Mair to supervise the design of the 1967 Chevrolet Camaro. His son, Steve Mair, said he received his driver's license the year Alex Mair became director of engineering at Chevrolet, 1966, which allowed him the pleasure of test driving company cars with his father. Steve Mair said he remembers his father coming home often and telling his family that he couldn't believe he was getting paid for "all the fun he was having" at work. Steve Mair said his father was an outspoken critic of the quality of GM's cars, insisting that the company would fail if it didn't improve reliability and durability. "He was very forward-looking on the product as far as making things people wanted and making good quality parts," Steve Mair said. "He was a great believer that quality reduces your costs, and he was right." In 1972, Mair told Automotive News that assembly line workers shouldn't be blamed for poor vehicle quality. Instead of putting the blame on assembly line workers, Mair said engineers and executives must be held accountable for improving the manufacturing process. "In the first place, 95 percent of the workers want to build up the company name for quality," Mair said. "And if you examine quality every day, you find that the root of poor quality is more often a faulty process than careless workmen and women."